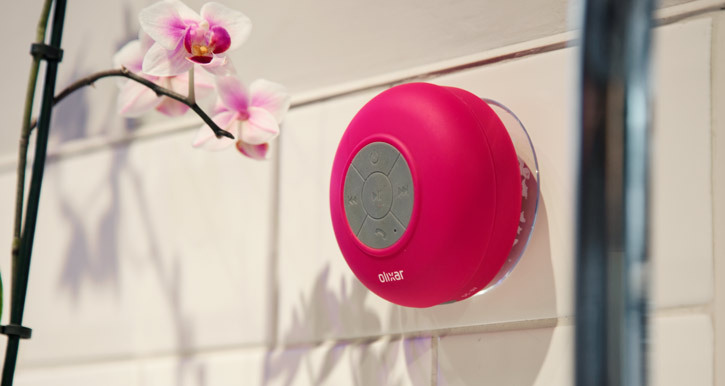 Enjoy listening to music while in the shower with the Olixar AquaFonik Bluetooth Shower Speaker in pink. With music playback controls and built-in microphone for those important phone calls that just can't wait. Really good little device. 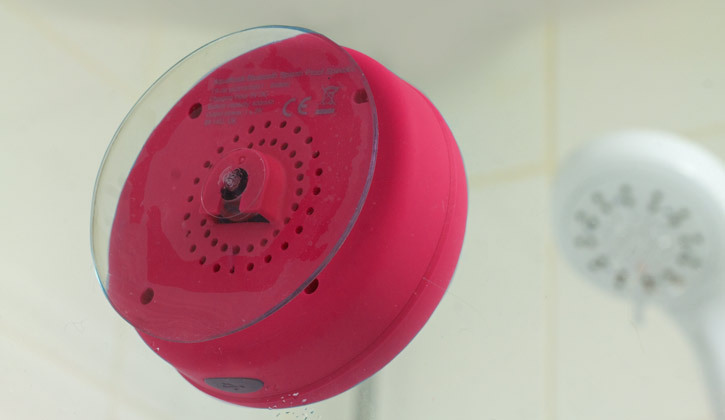 I always wanted to keep listening to podcasts when in the shower and now I can!! I wonder now if it would have been cheaper to buy one that was not shower proof ...as I only use it for general use? ?I only heard since I got this that there are general use ones available.Otherwise top product..love listening to my favourite songs from my youtube library at proper volume!Many thanks. 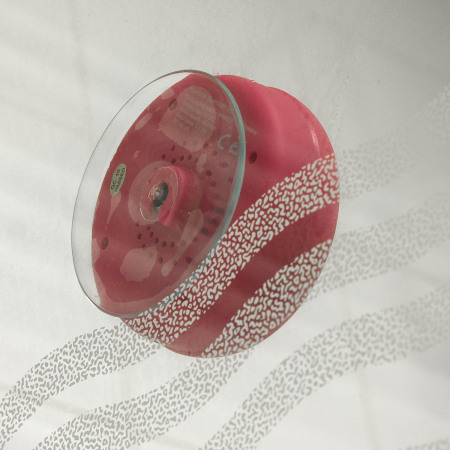 Usually a shower or bath consists of listening to the rushing sound of steaming hot water, a daily routine we all slip into without much thought. 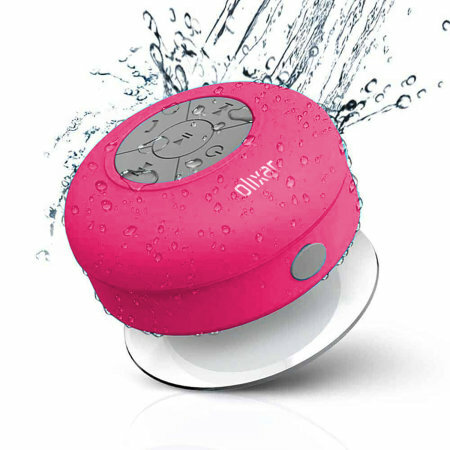 Why not then ensure the whole process is far more entertaining with the Olixar AquaFonik Bluetooth Water-Resistant Speaker, a device that allows you to listen to your favourite music tracks while you shower or bathe. 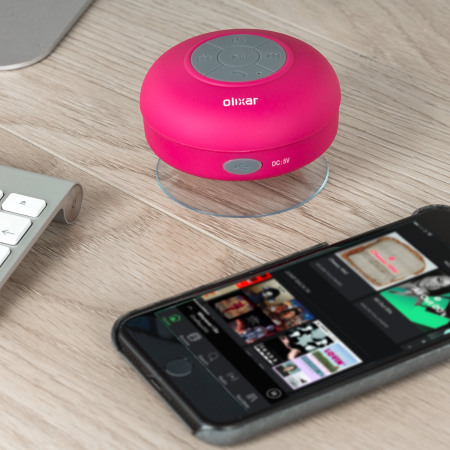 Using Bluetooth technology to transmit your music, experience your own collection of music or any music subscription services you are signed up to via your smartphone - without any fuss or wires. Compatible with any Bluetooth enabled phone. Simply attach the Olixar AquaFonik Bluetooth Water-Resistant Speaker using the incorporated suction cup, allowing you to easily attach and move the device whenever you wish. 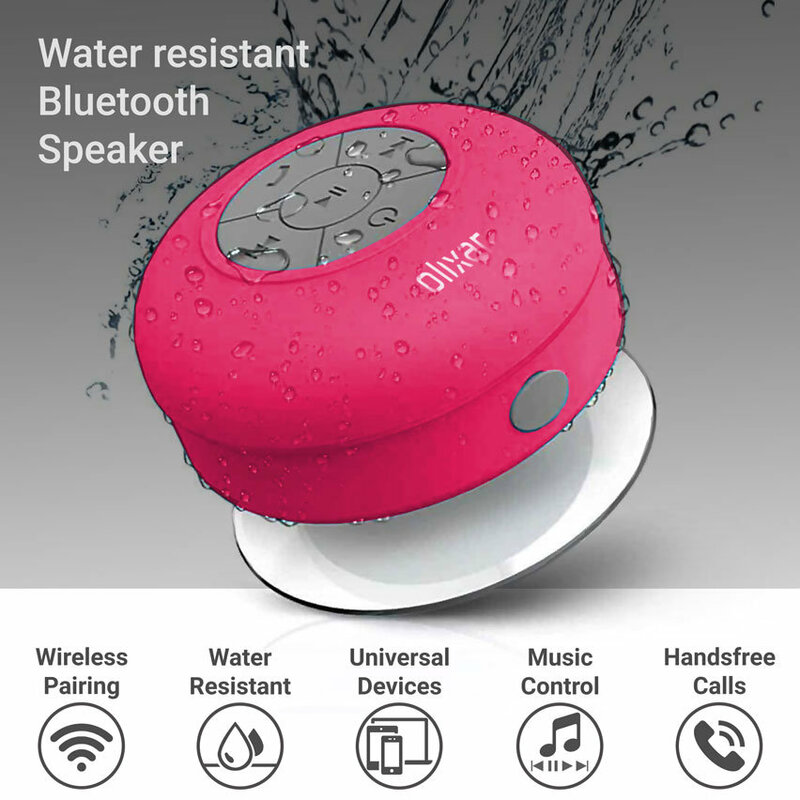 You can also use the Olixar Aquafonik Bluetooth speaker in other locations around your home or workplace. Ideal for use in the kitchen, especially when you are cooking or how about on your desk to take calls hands-free while you continue to work. 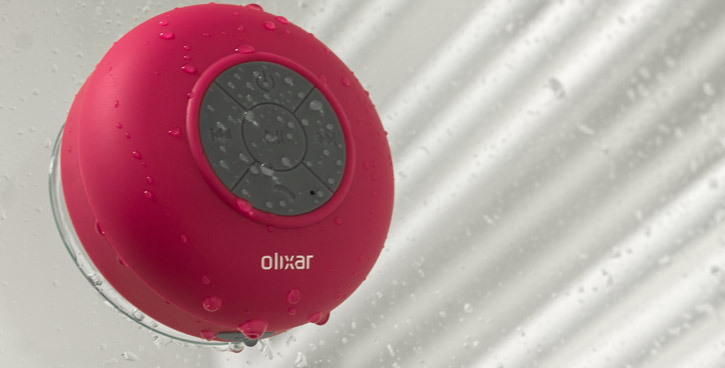 The Olixar Aquafonik is one versatile speaker! Featuring a soft rubber finish to ensure a comfortable feeling when operating the playback controls. 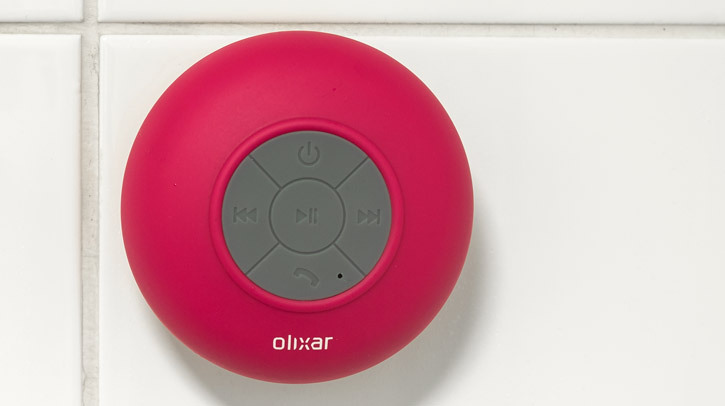 With buttons to answer, hang-up and re-dial phone calls - volume up and down as well as next and previous track options. Note: The volume can be adjusted by holding down either the previous track or next track buttons to either lower or raise the volume of the audio / music. LED lights are also incorporated to offer information on Bluetooth pairing. 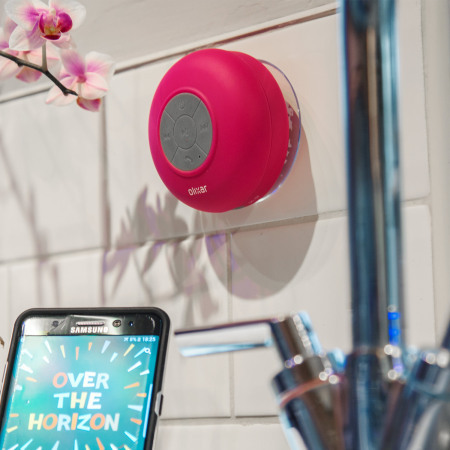 You may believe that taking a phone call in the shower, bath or any moist environment is the last thing you would wish to do, however how many times have we all been caught out! You prepare to step into the shower, all is quiet just the soothing sound of rushing water - you position yourself under the showerhead and just at that moment when the first drop of water touches your hair... The phone rings! 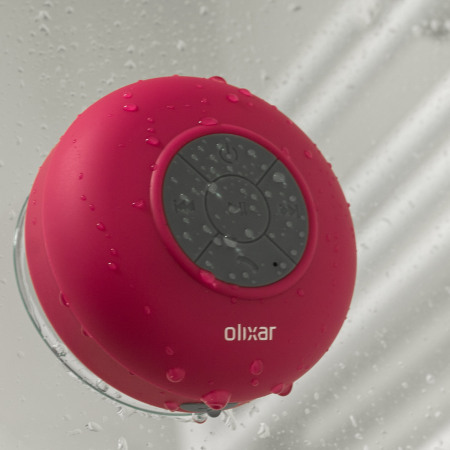 Never be caught out again with the Olixar AquaFonik Bluetooth Water-Resistant Speaker, that allows you to make and receive calls all while in the shower with its built-in highly sensitive microphone. Using a compatible iOS device, you can also trigger Siri through the speaker and issue phone commands. 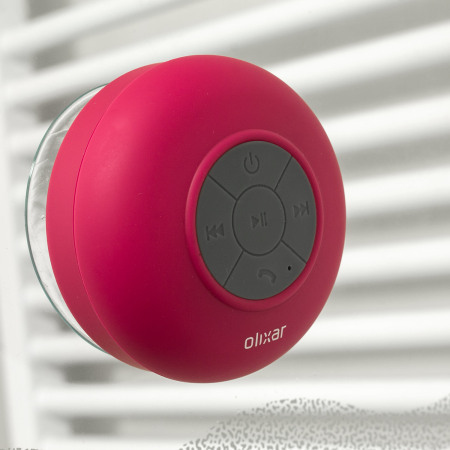 With an impressive 6 hours of music playback time, you can be assured your musical showering experience is uninterrupted for many weeks to come.